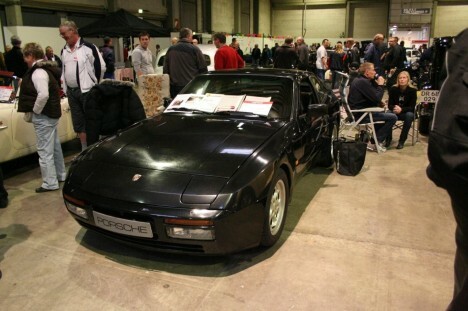 The Porsche 944 was first introduced onto the public market in 1982, and was introduced as the successor of the 924 model, however the 944 model was not a entirely fresh and innovative model, instead, it was an expansion and development upon the 924 model, remedying design flaws inherent within the 924. One of the major criticisms that was levied against the 924 model was its weak, underwhelming Volkswagen style engine, that simply could not handle any degree of pressure. The engine was removed and replaced, (upgraded perhaps a more accurate term) with a 2.5 Litre engine, which allowed the 944 model to reach a top speed of 130 mph, and whilst the 944 was certainly a marked improvement from its predecessor the 924, the 944 was not hugely innovative, and certainly not to the standard Porsche had wanted. A rather cruel, but wholly accurate criticism of the 944 was that it was simply the 924, except with slightly improved rear end suspension and handling. Because of sluggish sales, and increasing competition from rivals, the 944 was soon amended in a major way, with a total rehaul of both the appearance and function of the car, with Porsche seeking to distance itself from the ever increasingly bitter criticism levied against the substandard quality of the 944. A larger fuel tank was installed, the design of the axle of the wheels were amended, and the transaxle of the car both at the front and the rear was also amended so as to increase stability and reduce the noise created. The engine was allegedly amended as well, no official statement was made by Porsche as to the actual specifications of the new engine, so it is difficult to actually confirm or deny the validity of this statement. 1985 saw the release of a spinoff model of the Porsche 944, the 944/951 Turbo, which defiantly improved upon the basic engine design, making use of a turbocharged and intercooled design of the basic model of the engine. The engine saw a major rehaul of the dynamics and the mechanisms of the engine, over 30 amendments to the engine were implemented, one such improvement was the introduction of the a ceramic liner to lower the temperature of the exhaust. The 951 also gained a great of critical acclaim and consumer attention for its commitment to safety, two years after its release on the open market, the 951 Turbo had as standard airbags for both drivers and passengers, as well as the secure anti-lock braking system which quickly became emulated by competitors as well. The Turbo proved to be such a hit especially within the racing industry and field, that 198 versions of the 951 model were released for use in racing rallies. 1987 saw upgrades to the 951 Turbo, in the guise of the 944 Super variant released, and the 944 model certainly lived up to its “Super” moniker, expanding and developing upon the already impressive credentials of the 951 model. There was alterations and modifications as well as additions such as a more powerful engine, the engine power was estimated at 247 hp compared to the mediocre 217 hp for the 944 Turbo. Production of the 944 ended in 1990, when new modifications and amendments were proposed to the basic model, the changes were of such a nature and to such an extent that they moved beyond the improvement of an existing car, and were in the realm of a new model altogether.